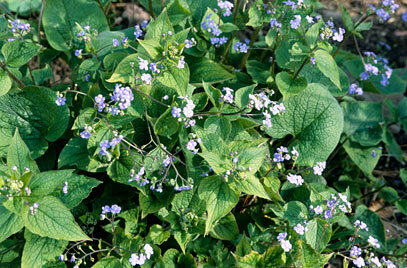 The Siberian Bugloss has beautiful heart shaped flowers with unusual white veins. 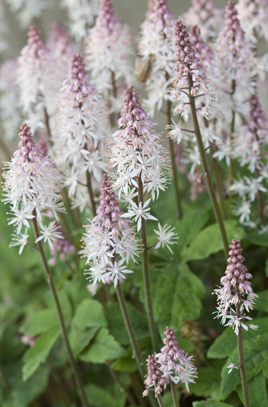 An eye-catching plant perfect for livening up dark, shaded areas of a garden. 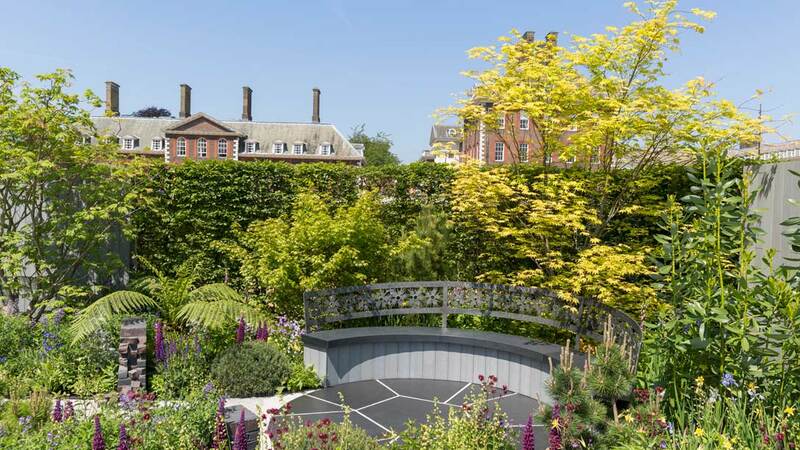 In spring the plants burst with attractive sky blue flowers and over time a colony of plants will appear creating a lovely cover to the shaded area but also providing the opportunity to transplant them to other areas of your garden too. A very hardy plant – surprising, given its delicate appearance – that provides perfect ground cover very quickly. 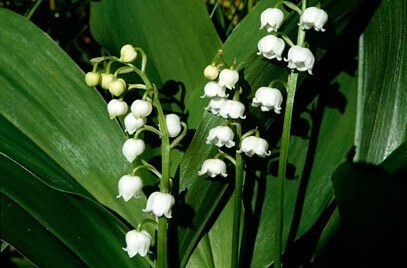 The tiny white flowers of the Lily of the valley plant give off a beautifully sweet scent all through the spring. For something a little different look out for the dainty pink versions. 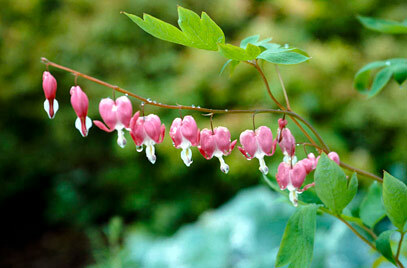 A Bleeding heart plant in full bloom is unmistakable thanks to its heart-shaped flowers and arching stems. Bleeding heart is a herbaceous perennial that will introduce colour and texture to your garden and thrives in shaded areas. 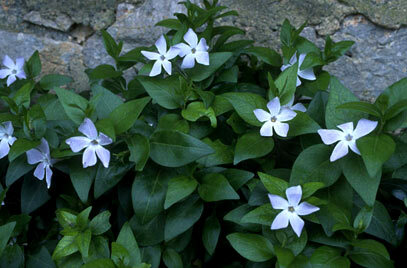 It’s not advisable to plant Periwinkle in a mixed garden as they can over take and become something of a pest. 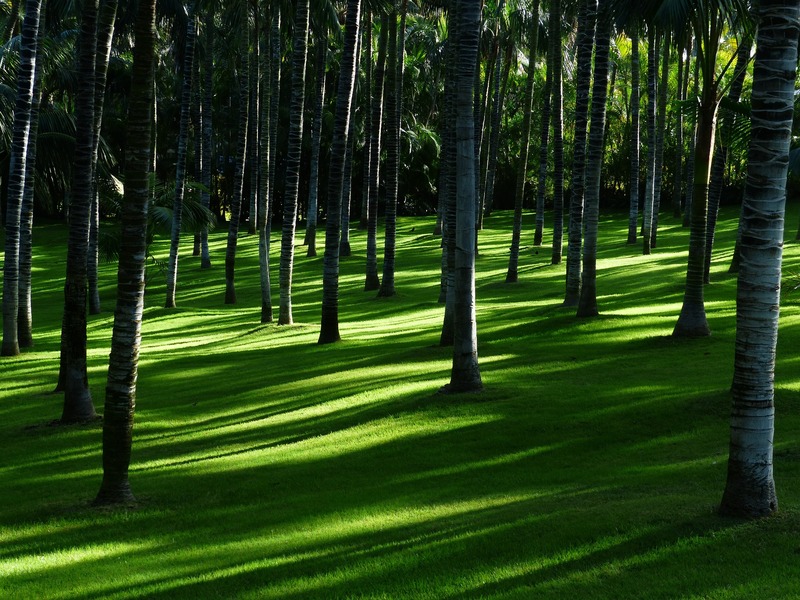 However, in the right place and with the right care, they’re beautiful and perfect for growing in the shade. Periwinkle is tough, provides texture and colour, is a ground coverer and prevents erosion under trees where soil loss can be a real issue. Periwinkle flowers in late spring/early summer, producing very pretty blue flowers. Periwinkle is a very diverse plant too being able to survive in full shade and also full sun. Daffodils are the iconic image of spring and although you do generally see them flowering in full sunlight in beautiful borders, they can also survive in the shade. 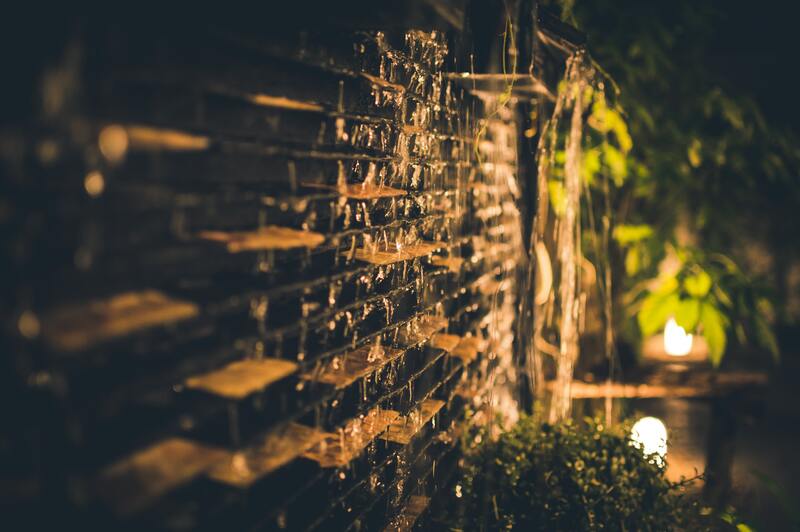 Although these bulbs do need sunlight to generate the energy they need to bloom, if you plant early bloomers under trees before they begin to leaf, the bulb’s need for sunlight will be satisfied allowing them to grow. As daffodils will carry on growing year on year, the sunlight penetrating the tree’s branches through the winter months and early spring will be enough for the daffodil bulbs to flower once again, getting bigger year on year. The Spring Symphony variety of foam flower will not only add the much-loved texture but also plenty of colour to your garden. 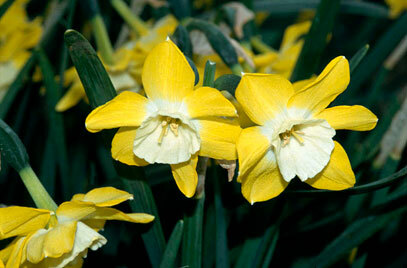 This variety varies in colour throughout the year giving you constant satisfaction. This plant is also known for its spreading skill. It’ll spend it’s time throwing out runners to form a collection of foam flower. 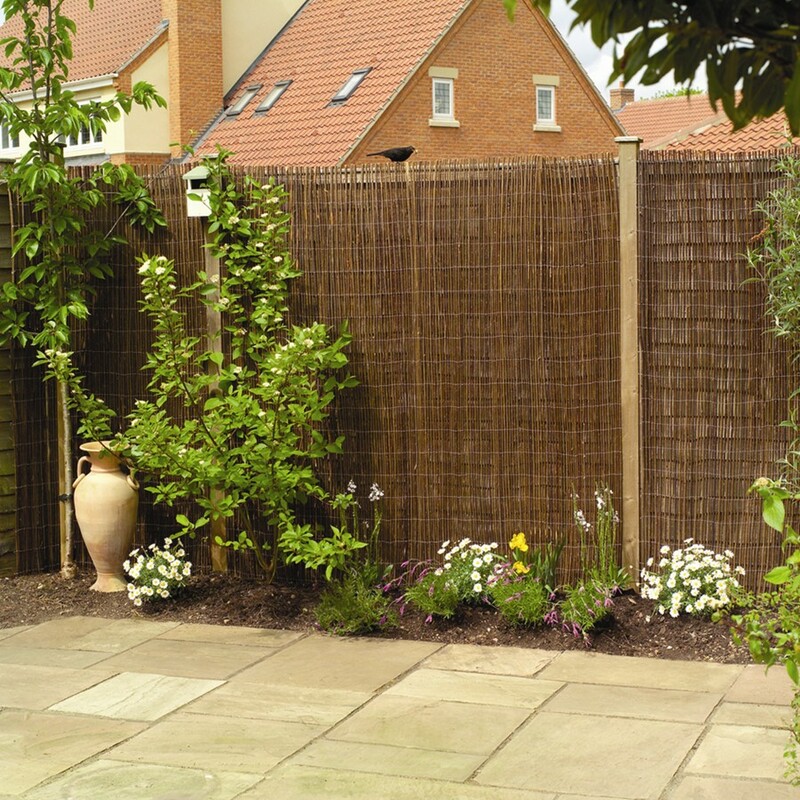 However, there’s no need to be concerned it’s not invasive and does nothing more than add a higher level of enjoyment to your garden. Buy some here and try is for yourself.